The Baby Jogger Summit X3 has the price of a high-end stroller but failed to perform well enough in our tests to justify the hefty price tag. Without having the features and performance necessary to function as a dedicated running stroller it is hard to find a reason to purchase this stroller. It earned a 4 out of 10 for run-ability making it a product we think parents will be disappointed in if running is their plan. When compared to the competition that included strollers with higher scores and better performance coupled with cheaper list price it is a no-brainer to say we do not recommend this stroller. The Baby Jogger Summit X3 is a hybrid jogger/stroller. It has all wheel suspension and a remote wheel lock on the handlebar for quick shifting between jogging and strolling. It offers a one hand fold and has drum brakes that are hand operated. It has a seat that reclines nearly flat with vents and a retractable weather cover. The sun canopy is rated UV 50+ and has two peek-a-boo windows; it can be adjusted to multiple positions and has 2 side vents that provide air circulation when it is hot outside. This stroller can become a travel system with a compatible car seat adapter. It can also accommodate a pram for the smallest of riders (sold separately). This stroller is rated up to 75 pounds maximum weight and recommends that parents not jog with babies under 12 months old. The comparison chart below shows the overall scores for the jogging strollers we tested in this review. The Baby Jogger is shown in blue. 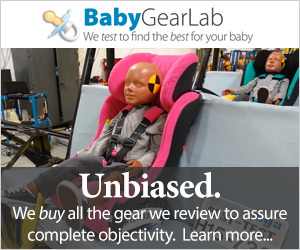 The individual metric sections below detail the performance of the Baby Jogger during testing compared to the competition. The individual metric scores were used to determine overall scores and rank. For run-ability the Baby Jogger earned only 4 of 10. Only 2 strollers scored lower than the Summit for ease of running. The lowest scoring stroller for running is the Graco FastAction Fold Jogger that is so hard to run with that we gave it only a 2. The highest scoring products are the Thule Urban Glide 2 and the BOB Revolution Flex that both scored a 9 and have a nice adjustable handlebar and easy to use features including adjustable tracking and suspension. This stroller does not have an adjustable handlebar, which might not be a problem for parents who are average in height or don't run regularly, but it could cause a problem with running biomechanics for those who are taller. It offers good suspension and very good adjustable tracking that keeps the stroller on track and easier to push at speed. Our professional runner felt it was a solid stroller that has a good middle of the road feel and has a nice grounded feeling when running. This stroller is hard to tip and turn or balance when the wheel is locked while running. It seemed easy enough to turn on long sweeping turns but was harder to make shorter turns. However, it has one of the lowest rolling resistance averages in the group. It also sports a deceleration brake that should be able to slow you down as you approach intersections or going downhill. The handbrake isn't the best, it is hard to squeeze and doesn't work that well. The stroller feels heavy and we felt the handle is too low for taller runners over about 5'7. We kept hitting our free hand on the handlebar when running, and if you use the safety tether you'll have to keep the same hand on the stroller at all times. The Jogger scored a 6 for maneuverability which seemed like a low score for a stroller with a swivel wheel. The Thule Urban Glide 2 once again came in with the high score, earning a 9 in this metric. For pushing on and off the pavement and hard surfaces is pretty easy. It seemed relatively good at turning through tighter spaces with its shorter wheelbase. We did have a tendency to catch the rear wheels on stuff as we turned through the obstacle course, but not as much as we did with the BOB Revolution Flex. Given its larger weight, it does feel heavier and hard to push and maneuver than the lighter options. It did not perform as well off road as it did on. It was a little tippy on the side hill portions and if you hit a bump with any speed it did tip over. The front wheel got hung up on the edge of the sidewalk sometimes if we put too much pressure on it. It did manage a roll over a large curb with a little help and some bouncing and it fared well through the deep gravel. For curbs, it is sort of bouncy and could get out of control if you aren't careful. It went off the curb fine with no assistance real assistance pushing. For ease of use, the Summit scored a 6 of 10. this score tied with 4 other strollers in the group. The Burley Solstice scored the most points for ease of use with a 9. The Summit has a large under seat storage bin that is easy to access from the rear and sides. It has a maximum allowable weight of 10 pounds for this bin and we were able to fit our large diaper bag in from the back, but it fits in better from the side. There is also an additional mesh pocket on the back of the seat that can hold up to 2 pounds and is a nice place to store water bottles for on the go hydration. The photos above show the canopy closed and open. The Summit has a large canopy that is rated at UPF of 50+. It has 2 windows and vents on each side. We would prefer to have some ventilation through the back and there is some if you detach 2 snaps and 3 hook and loop strips. However, if you do this you won't get much shade. The canopy snaps nicely into place when fully open and stays taut without looking slack and unkempt. The windows and vents have hook and loop closures to hold them closed and toggles to hold them open. You can remove the entire canopy if you need to, but it is sort of a pain. This sun shade has almost as much coverage as the BOBs and what looks like maybe a little more headroom than some of the competition which is a good given that it says it is good for children up to 5 years old. However, we found the actual width of the seat to be narrow. The seat on the Summit X3 reclines almost flat, but it isn't safe for baby to run at this angle. This stroller doesn't really offer much else in the way of conveniences. While we like the mesh pocket it is hard to reach into while running, and there is no other parent console or child tray included in the base price of this stroller. The seat back does recline in an infinite number of positions all the way to about 20 degrees from flat which is nice. The ventilation is better with the seat reclined, but this does significantly increase the tipping hazard when fully reclined. The Summit scored a 7 of 10 for quality and continued it's below average scores by coming in 1 point below the average for this metric. The fabric on the Summit feels nice and would not snag except for the fabric on the foot rest. It does have a slicker more plastic feeling than most, but we suspect that it will wipe down easier than other options. It did leave us wondering how breathable the fabric is and if it might end up feeling like vinyl seats all hot and sticky after a days run in the sun. The Summit has a good solid feeling frame with little flex. It is a nice looking stroller and the canopy and seat fabric fit snugly on the frame. The plastic parts seem well made and fit well. It has one of the better-looking canopies. The wheels on this stroller have a nice tread design compared to the rough and rugged designs that do little more than increasing vibration in the handlebar. The molded plastic wheels are sturdy enough, but aluminum spoke wheels will definitely be lighter and could have helped this heavy beast drop some weight fairly easily. There is more play in the axle on this model than many in this group, but still less than the Baby Trend Expedition or the Schwinn strollers. While it is nice that the X3 has a hand brake for deceleration during running, we found it to be both quite tight and placement suboptimal, right in the spot where a runner may naturally want to place their hand. In addition, the brake cord also interferes with grip. The handle on this stroller is not adjustable and not as comfortable as the foam options on other strollers. The rubber handle cover may be better for cleaning, but it is not as comfortable as the foam. The handle has no upward curve to it and the brake cable lays along the handle on the right side which is something that continued to get in our way. The rubber might get hot to the touch in the hot sun. The way the handle curves outward where it meets the back of the seat does offer added options for hand positions. The Summit has three-wheel suspension, but the suspension is not adjustable. The stiff sling style seat has good padding and the minimally padded shoulder straps aren't bad. The seat fabric is machine washable which is a nice touch, but not enough to seal the deal or make up for all the other things missing in this jogger. The Summit did score well for safety tying for the top score with a 7; the Thule Glide 2 and Thule Chariot Cross 2 with Jog Kit both shared this high score with the Summit. The Summit has a single action brake system that is easy to set and release. The brakes themselves are a little hard to push down, but they do have a reassuring click once set so you can't think they are set when they aren't. It also sports a deceleration handbrake that while nice to have isn't very effective and we think could use some work because it doesn't really slow the stroller at all and it is hard to squeeze for smaller hands. The brakes have a little bit of play in them once set and they only required about 30 pounds of pressure on average to make the stroller slide front or back. Summit has a 5-point harness that is easy to put on and take off. It is simple to adjust and has adjustable shoulder strap height options and an adjustable crotch strap. We think that if a harness is easy to put on and adjust that parents will be more likely to use it. Once adjusted to the proper size the long tails of the shoulder straps have nowhere good to go. which leaves them to hang and annoy little ones. This stroller does have a safety wrist strap located low on the frame in case you should trip or loose hand contact with the handlebar. The manual says it is good for birth to 5 years and says babies should be 6 months before running with them. The Summit is one of the heaviest strollers in the group at 28 pounds. The Summit's folded volume is 13,300 cubic inches, which is one of the smaller options. This makes the Baby Jogger heavy but able to fit in smaller spaces. Only the Baby Trend Expedition is smaller when folded. The heaviest ride in this group is the Thule Cross 2 with Jog Kit; it also takes up the most space even with the wheels removed. The fold on this model is very easy, but it does require parents to unsnap part of the seat from the frame that acts as a safety feature to prevent accidental folding when you don't intend to. The fold itself is one hand by pulling the handle in the middle of the stroller. It is more difficult to unfold this stroller than some of the others because it takes two hands and it isn't really very graceful. If you lack the strength to hold it in the air with one hand then it will be a hard stroller for you to unfold. This stroller earned a 6 of 10 for ease of setup, tying with several other strollers for the lowest score in this metric. The Thule Urban Glide 2 earned the high score with a perfect 10 by being the easiest stroller in the group to get rolling. The Summit took us 8 minutes and 40 seconds to get from the box to ready to use. The setup is pretty simple with 3 wheels and a canopy to snap on and it doesn't require any tools to assemble. The manual is good enough, but not as clear as some of the competition. It is a tri-language manual with clear pictures of what you need to do and the English portions are highlighted in gray. Given the length of the instructions, it is sort of surprise that there aren't that many steps to execute. This product lost a few points for having less than great instructions and for the longer assembly time compared to the competition. The Thule Urban Glide 2 took less than 5 minutes to take out of the box and put together. There isn't a best application for this stroller. Designed as a nice hybrid of a jogger and an everyday stroller it sort of fails to meet either genres needs. It did not score well in our tests for run-ability, and it failed to score as high overall as our Editors' Choice, the Thule Urban Glide 2 that has a lower list price. This product has one of the highest prices in our review, with only 2 other strollers costing more. While we can appreciate that in some products you really do get what you pay for, it doesn't appear to be true of this particular stroller even if it is true of this type of stroller in general. It lacked the performance scores in key running metrics to make it a real contender for the price. Our Editors' Choice, the Thule Urban Glide 2 is a similar product that features a locking swivel wheel, adjustable suspension, and scored a 9 for run-ability but costs $20 less than the Summit. Overall, it is a better value for what you get than the Summit. This is not a bad stroller, but it is not a great stroller for the price. Scoring just 59 of 100 points overall it failed to impress us in some of the key metrics that make this style of stroller good for jogging or easy to use. In fact, in our tests, this product failed to score higher than average in just about every metric. Given the higher price tag, we thought it would perform better or offer things that the competition did not. However, when compared to comparably priced options it just can't compete. With both the Thule options and the BOBs scoring higher and costing less it is hard to recommend this stroller. Baby Jogger offers two other jogging style strollers, including a double version of the Summit X3 and the F.I.T. Jogger. The FIT Jogger is labeled by Baby Jogger as an "intermediate trainer" and has a list price of $300. It has a similar fold and handbrake to the Summit X3, This model looks to have a smaller storage bin and a fixed front wheel, unlike the Summit. We did not review this stroller. Baby Jogger offers several accessories for this stroller including a parent console, cup holders, and weather shield. Some parents might also be interested in the available cooler bag, car seat adapters, child tray, belly bar, and baby pram. Amazon $359.00 - 17% off!